Its ergonomic textured rubber handle provides a comfortable and dependable grip whether used in scorching temperatures or wet conditions. Although the black and bright orange motif is present in all tools of the Bear Grylls line, it serves a dual purpose of also being visible if you happen to drop it in the forest. An included mildew-resistant nylon sheath allows you to carry this knife easily when attached to your belt or pack. 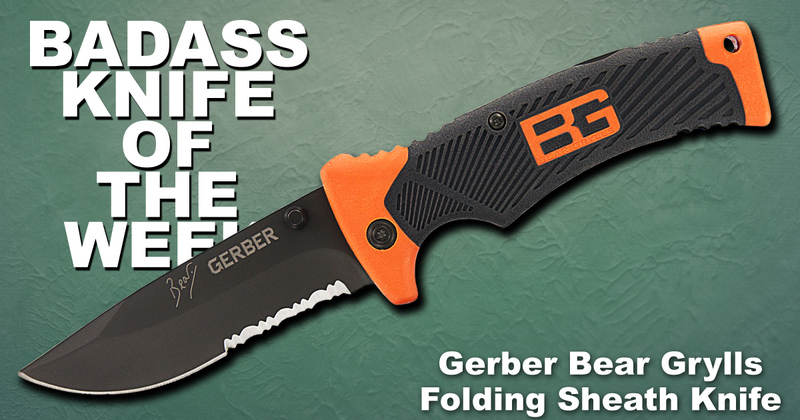 For more info on this Badass Knife of the Week, see the product page for the Gerber Bear Grylls Folding Sheath Knife.